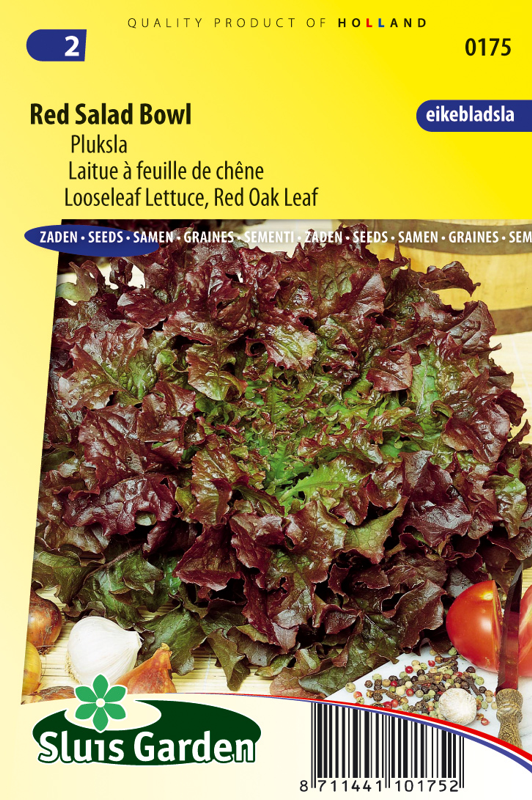 A red looseleaf lettuce with oak leaf-shaped leaves. 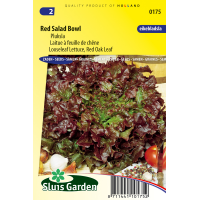 Red Salad Bowl has tender leaves that are yet somewhat crispy. It has a strong, slightly nutty flavour. Suitable for garnishing, in salads, but can also be eaten stewed. Can be grown in a greenhouse (ventilate during warm weather) and can be sown directly in the garden as of mid March. Keep seeds cool in the summer. Thin out liberally and keep sufficiently moist during warm weather. Lettuce can already be sown at low temperatures (> 10ºC).